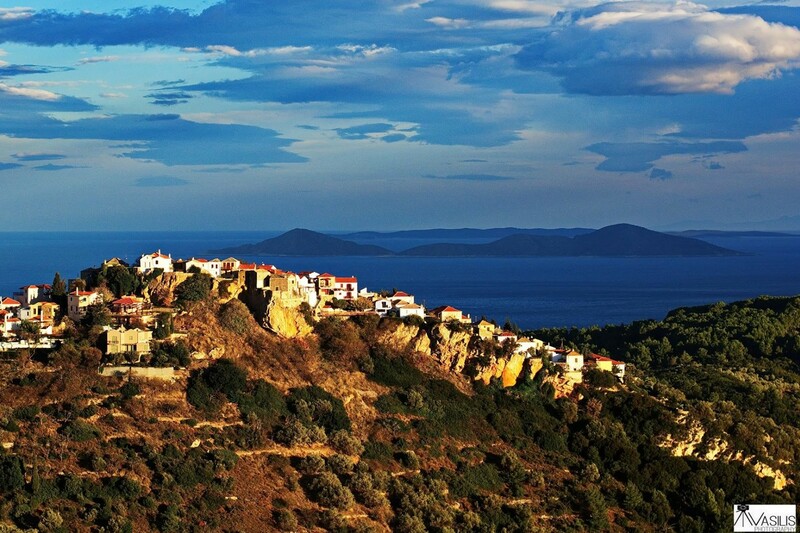 Although the focus of this blog is to provide information about the island of Alonnisos, today (9/4/2013) I feel inspired to post news about the passing of a beloved friend on the island who we originally met during our second trip to Alonnisos. 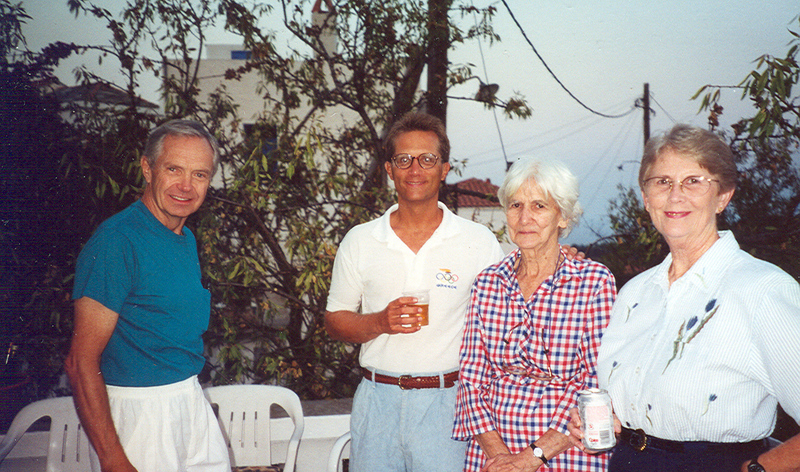 Her name was Pat Fischer (pictured to your right standing next to me), and she and her husband David owned a home in the Kokkino Kastro area for decades. 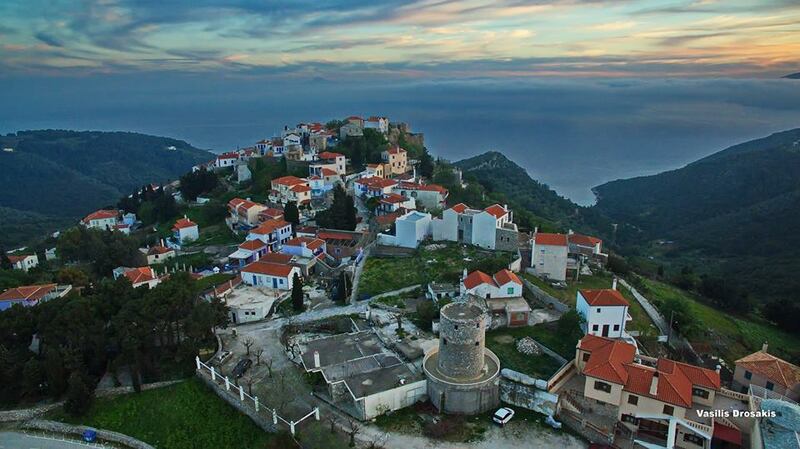 Originally built in the 1960s, at one point many years ago it was in the path of a huge fire that broke out in the hills above Tzortzi Yialo Bay, but miraculously survived intact thanks to heroic efforts on the part of local Greek fire-fighters. My in-laws originally introduced us to Pat and David during our second visit to Alonnisos in 1998, and over several years we had the great pleasure of spending time with them on their lovely property. They were very friendly and hospitable, and we always greatly enjoyed our visits to the Fischer home. 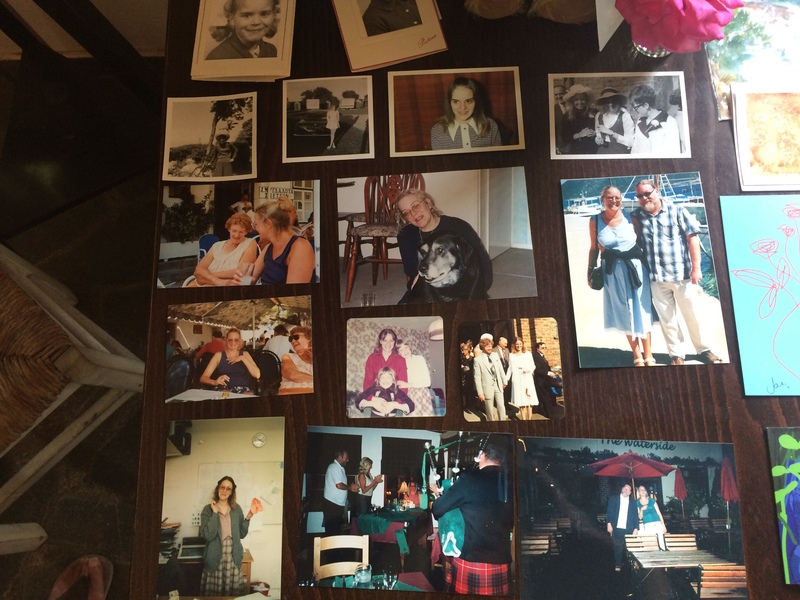 Pat, David, their children, and grandchildren as well, visited Alonnisos regularly and also introduced many other family members and friends to the island over the years. 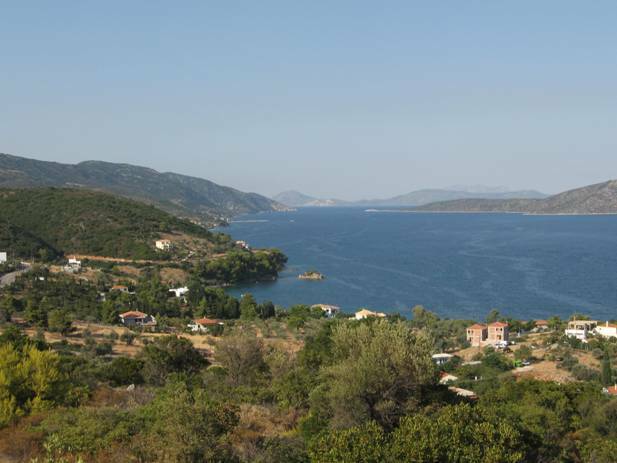 They had a deep and abiding love and respect for Alonnisos, and during their many trips to the island they truly became a part of the energy of Alonnisos itself. When David passed several years ago, Pat continued to visit the island whenever her health would allow it. With Pat Fischer’s passing, the island lost a true friend and I know for certain that she will be missed by anyone associated with Alonnisos who had the privilege of knowing her. 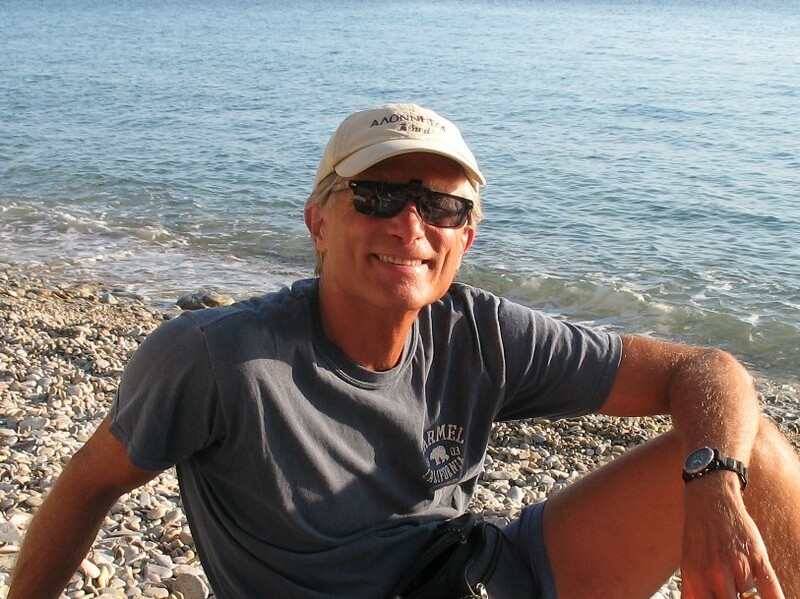 Although this blog’s focus is to provide a wide variety of information about Alonnisos, once again I feel compelled to post news about the recent passing of a beloved friend on the island who we met more than a decade ago. Her name was Nicoletta Trenta, and she lived in Torino, Italy, but owned a home in the Old Village area of Alonnisos for over twenty years. She usually spent entire summers on the island, and was known and loved by people everywhere on the island. Andrea and I originally met Nicoletta (pictured between us to your right) during the summer of 2000, as her home was located just behind the rental house we were using that summer. We took an instant liking to her, and just about every evening after returning from my hike to/from Micros Mourtias beach I’d walk down to Nicoletta’s house and we’d have a cocktail together and a wonderful conversation. She always made me laugh like crazy; in fact, she often made everyone around her laugh because she had such an amazing sense of humor. When she combined her beautiful Italian accent with her sometimes interesting use of the English language, there were many times she was downright hysterical to listen to. She always made me smile, and because of it I even included her name in the acknowledgments pages of my first book. Over the ten years we knew her, we had the pleasure of spending many great times with her, and she always kept us entertained. She really did revel in making people happy, and at times she also enjoyed being ornery just for the hell of it; the truth is we loved her either way. The last time we saw Nicoletta was in the summer of 2009, and it was at that time that she began to have some health challenges, though she never told anyone what was at issue. Despite those health problems, she remained quite busy and active that summer, and even joined us one time when we took a boating trip on my in-laws’ caique (see photo to your left of her and my step father-in-law Peter). To say that I personally will miss Nicoletta’s presence on Alonnisos would be a major understatement. Andi and I both loved her like she was family, and the thought of returning to the island and not seeing her big smile and getting a warm hug and “kiss-kiss” from her is not a pleasant one. Nicoletta truly was part of the very fabric of the island for all the years she visited there, and there is no doubt she will be sorely missed by anyone who had the great pleasure to know her. 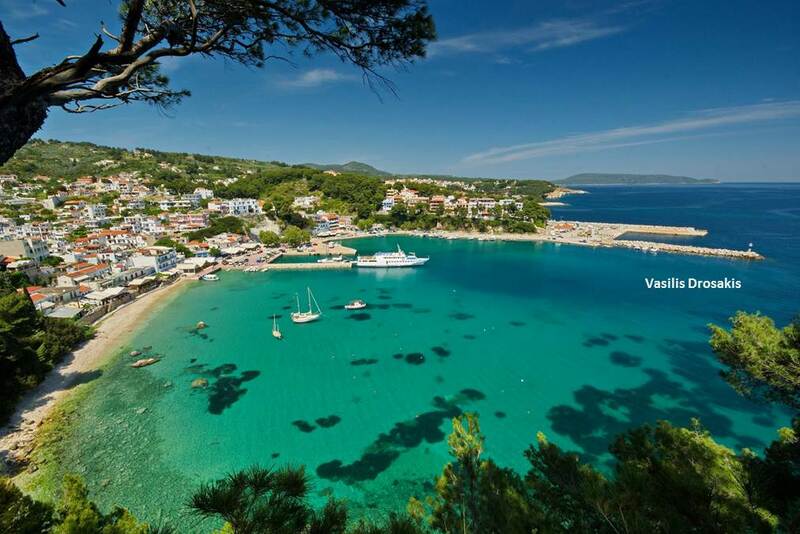 Today a good friend who lives in Alonnisos most of the year posted a link on her Facebook page to a video of the island that was produced by Vangelis Photography in Greece. If you click here you’ll be led to this video on YouTube, and if you’ve not seen it before, I believe you’ll find it to be quite spectacular. 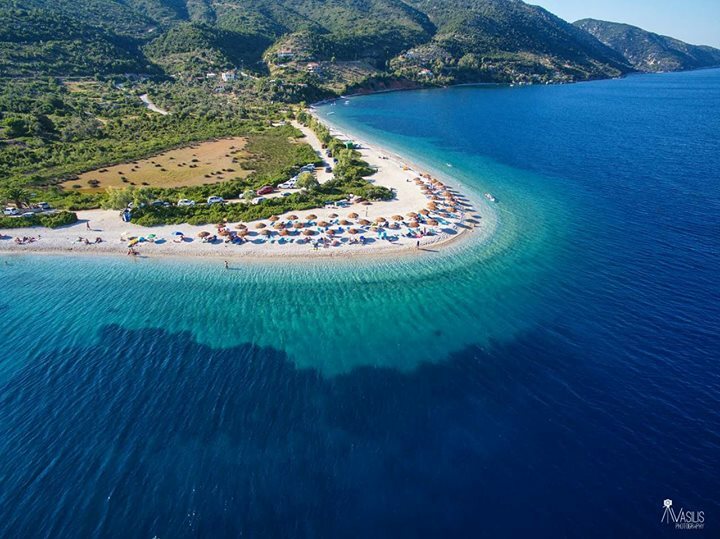 If you are a person who has yet to visit Alonnisos, I highly recommend this video as it provides a very panoramic view of the island. On the other hand, even if you’re like me and have spent a lot of time on Alonnisos, or actually live there, it’s still very much worth watching. Enjoy! 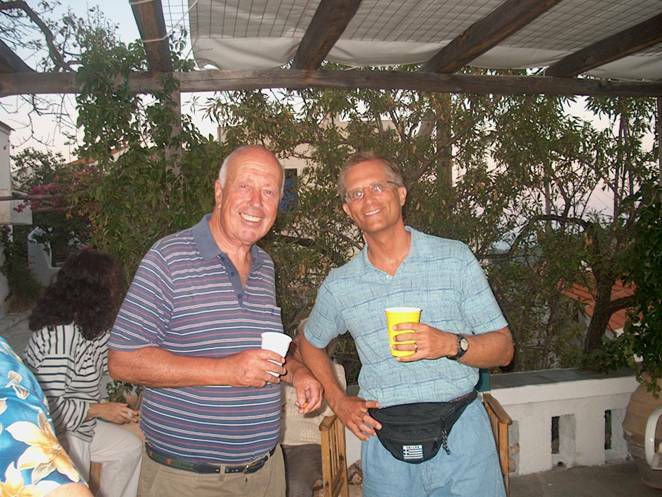 Although this blog’s focus is to provide a wide variety of informa tion about Alonnisos, today I feel compelled to post news about the recent passing of a wonderful man named Kurt von Schirnding (pictured to your right) who, along with his wife Gisela, owned a waterfront home on Alonnisos for over 40 years. 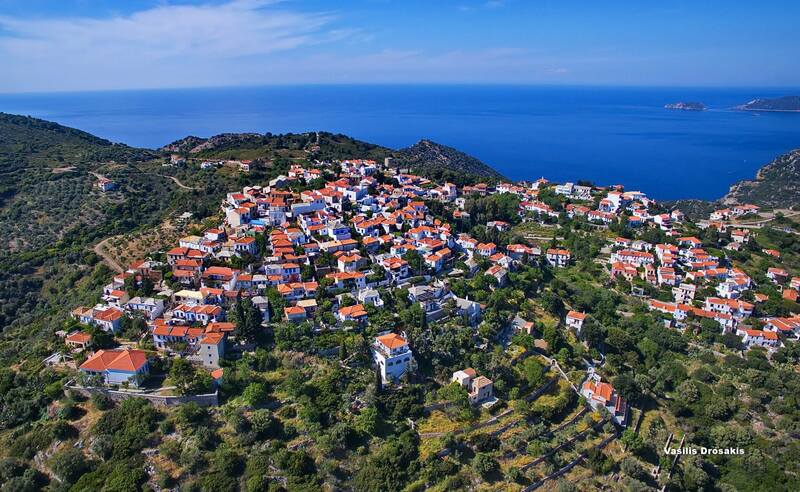 Kurt and Gisela were actually among the first group of foreigners to purchase property on Alonnisos back in the 1960s. Construction of their small, but comfortable home required all of the materials to arrive by boat and then be carried by donkey to the building site, as roads had not yet been developed in that area of the island. 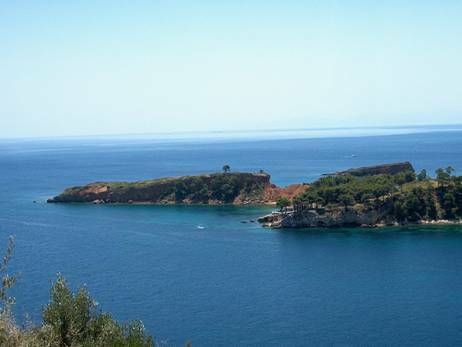 They loved Alonnisos very much, and, along with their four children, visited it often over the years for their summer holidays. Once Kurt retired, he and Gisela would typically spend two – three months on the island, and could often be spotted in Steni Vala, and in Patitiri as well. 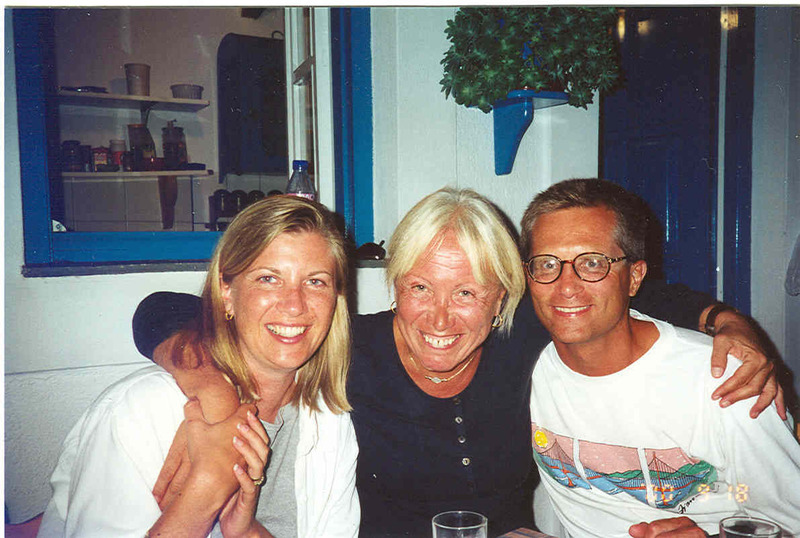 My wife Andrea and I had the great pleasure of meeting them during our four-month trip to Alonnisos in 2000, as my in-laws were kind enough to introduce them to us. That summer we spent a lot of time with them, and I got to know Kurt very well (see photo of us in 2006 to your left). Interestingly, I learned that he was a career diplomat for South Africa, and for a period of time served as that country’s Ambassador to the United Nations. What I found most impressive about this man, is that despite his many years of serving in the public limelight as a highly esteemed diplomat, he always treated everyone he met in a very special and caring way, and never once boasted of his past achievements or position. He was also incredibly kind, generous, and very fun-loving. We feel privileged to have known Kurt, and will always remember him and the many enjoyable times we spent with he and Gisela. Anyone associated with Alonnisos who knew Kurt would surely agree that the island has lost a great friend. He will be sorely missed by those were blessed to have known him.